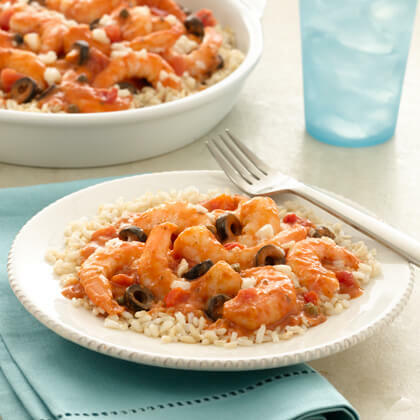 In a large bowl combine pasta sauce, shrimp, olives and capers, if desired. Spread rice evenly in the prepared baking dish. Top with shrimp mixture. Sprinkle cheese on top. Bake for 20 minutes or until an internal temperature of 145°F is reached.